Rocket boy, Jet Jones, must choose between protecting the Taylors and being part of the family he’s always wanted. Rocket Boy, Jet Jones, goes out of his way to prove himself to the Taylor family who have taken him in, but when shadows of his past arrive on the farm opening old wounds, he realizes his days of running may finally be numbered. 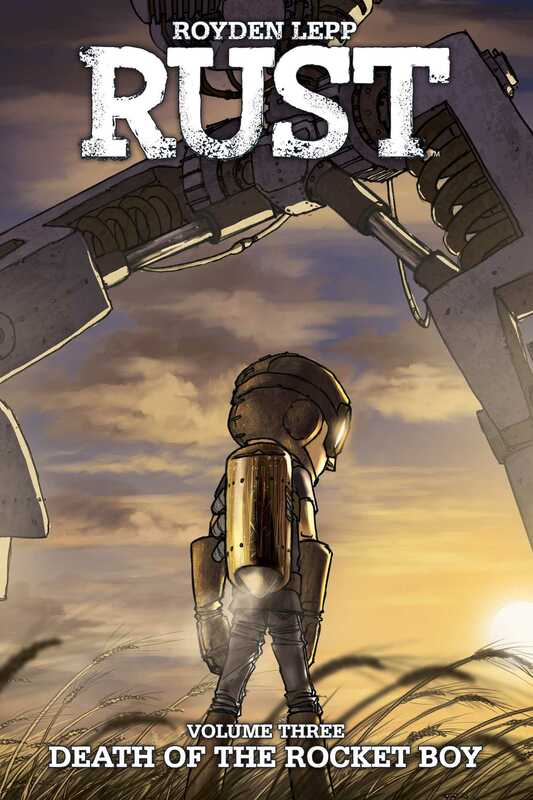 Royden Lepp’s Rust: Death of the Rocket Boy is the penultimate installment of Jet’s ongoing adventure as he confronts his maker, Oswald, and struggles to protect the Taylors from new threats.